Winter Clean Eating Program Regularly $149 for $89! One time offer! Don't miss the $60 Savings! This is a one time offer for signing up for my newsletter! Enjoy the Taste of Clean Eating 3-Day Clean Eating Program! I look forward to hearing about your success stories! Thank you so much for signing up to my newsletter! Please download your FREE Taste of Clean Eating: 3-Day Program now! SPECIAL OFFER for signing up to my newsletter! 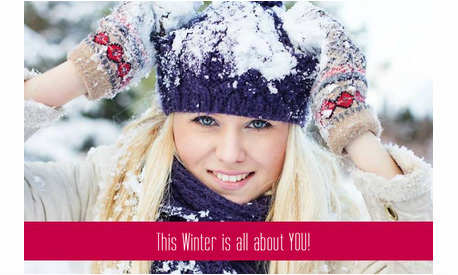 The whole foods program that allows you to recharge, nourish, and reset your metabolism this winter season. Have you tried diets and programs that have not given you the results you were looking for? Are you looking for a program that will uncover hidden food sensitivities and allergies that are contributing to weight gain? Do you crave unhealthy foods that are sabotaging your weight-loss efforts? Are you looking for more energy and less trips to the coffee machine or the vending machine at 4pm? The Program Starts on Monday, January 27. Week 1 — Preparing your body by beginning to cut down on processed and unhealthy foods. Week 3 — Transition back in the foods we eliminated to see how our bodies react, and practice our new clean eating techniques. I have all levels of packages available for all levels of clean eaters—from beginner to advanced. I always suggest grabbing a friend for additional support! "Lynne was extremely reassuring and supportive in easing my apprehensions and helping me personalize the clean eating program to work best for me. At the end, I noticed my stomach was much flatter (and still is, which is amazing! ), my clothes fit better, and I felt great overall. Lynne's guidance and shared knowledge throughout the program was paramount in my successful completion. And as personal wardrobe stylist, I love that I can refer my clients to Lynne's clean eating program to give them a great tool to further enhance their lives." Exclusive offer! Sign up today, a $149 value yours for ONLY $89!